I am one of, um, Great T's personal assistants filling in while he's on vacation. I am not allowed to reveal my name. Sigh. Anyway, I want to take this opportunity to inject some real, in-depth, and meaningful content to this blog instead of the usual self-ingratiating verbal flatulence he posts. So I am taking it upon myself to introduce this segment, "One to Watch", where one of Mr. Tremendo's staff will spotlight a filmmaker, forgotten movie, or obscure genre. Although he has branded me a faggy, limp-wristed, sensitive artist with a propensity for the maudlin, I will overcome his boorish and unsophisticated cinematic palette and replace it with one of choice, first-class, and erudite musings upon art in the world today. The Spanish cinema, from the fantastical silent works of Segundo de Chomon to the contemporary dark comedies of Pedro Almodovar, has presented the world of cinema a wide range of artistic styles and political voices. 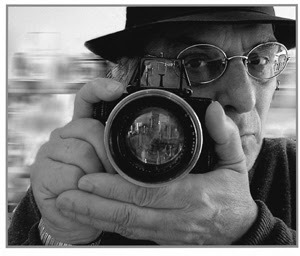 Among these Spanish filmmakers stands director Carlos Saura. Born shortly before the outbreak of the Spanish Civil War, Saura witnessed firsthand the social trauma and political brutality that would inevitably lead his entrance into film. As a teen, he gained an interest in photography and became adept in capturing images of his native country. However, Saura did not find success in commercial photography and instead discovered that filmmaking satisfied his artistic impulses. Urged on by his family, Saura entered the Instituto de Investigaciones y Experiencias Cinemotograficas (IIEC), the famous Madrid film school, in 1952. There he was bombarded by the sounds and images of Italian neo-realists Vittorio DeSica and Roberto Rossellini whose films would sow the seeds of the New Spanish Cinema Movement which included filmmakers Victor Erice and Jose Luis Borau. 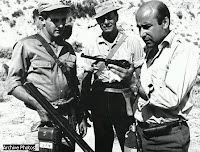 In 1959, Saura shot his first important film, Los Golfos (The Hooligans) which is often compared with Luis Bunuel's Los Olvidados because of both films' treatment of lackadaisical youth entrapped by an oppressive society. The film is important because it marked the beginning of an opposition and protest to Franco policy regarding the prohibition of "art films". Thus began a tortuous artistic journey for Saura whose efforts at completing distinct films with political voices became not only a financial investment, but a philosophical one as well. This opposition to Franco policy especially characterizes early Saura films as a cinema of anguish, anger, and rebellion. His third feature, The Hunt (1967), won Saura national and international acclaim, financial success, and continued comparison with Bunuel. The film is a tense, unsettling allegory of the Spanish Civil war and its legacy and contains elements that reflect personal, moralistic, and political preoccupations that embody Saura's films. The four leading characters in the film, three veterans of the war and a young neophyte on his first hunt, respectively represent Fascist brutality, a sense of regret, and lost innocence. In addition, the film embodies what is most important for Saura: to embrace the past, we must first be cleansed of it. Saura’s later works were no less allegorical no forcefully political in tone and nature. 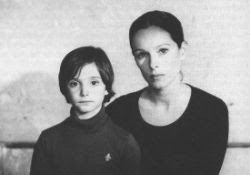 1975’s Cria Cuevros!, featuring the hauntingly beautiful child actress Ana Torrent (also see Erice’s Spirit of the Beehive), portrays a childhood struggling to latch onto innocence while the social and political upheaval of the time threatens the family’s cohesion to the very core. In the film, familial relations symbolize the zeitgeist of this troubling time in Spain. The father represents Franco's regime and the destruction of traditional values while the mother is old Spain, gasping for air and terminally ill. The grandmother is the nation’s past, searching in vain for values of days gone by, and reminiscing a glory that perhaps may never be revisited. The children are the new Spain, victimized by violence and repression, but perhaps tempered to bring out a new beginning. Arguably, Saura is at his absolute height in masterful filmmaking during this time. For anyone interested in Spanish cinema that is fiercely political and emotive, burgeoned by truth and feeling, the filmography of Carlos Saura is definitely one to watch.